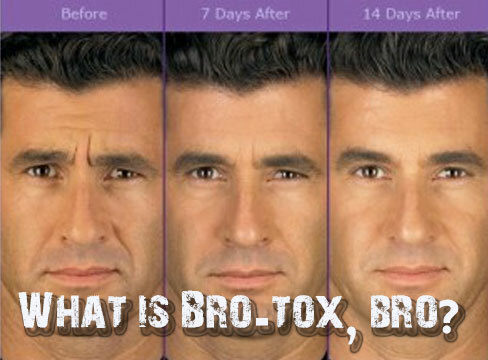 Over the past few months, we’re hearing increasing chatter on the internet of ‘Brotox.’ Yes, that’s right. Increasingly, more and more men are turning to Botox® cosmetic to reduce the appearance of fine lines and wrinkles. If you’re a man in your 30’s, chance are by now, you’ve started to notice some of the signs of aging. With the sagging economy in the United States over the past several years, increasingly men have turned to Botox® to give themselves an edge in the job market. It seems that experience in the job market itself is valued until you’re seen as having too much experience or being too old. Botox itself is one of the number one forms of cosmetic procedures offered by doctors. In fact, according to the American Society of Plastic Surgeons, over 385,000 men in the United States got Botox injections last year (source). In general, men typically require more units of Botox than women. The reason for this is because men have strong facial muscles requiring more units. In general, a typical visit for a man looking to get botox will take upwards of 35 units–depending on how many areas targeted. For more information about Botox cosmetic, visit the Allergan website. If you’re looking for a south side clinic in the Edmonton area, follow the link. To many of us, the idea of Coca Cola waging a war on obesity reads like an April Fool’s Day joke… Yet, if you’ve had your head in the sand for the past few months, you might be surprised to realize that this isn’t actually a joke! Yes, Coca Cola, the purveyor of adipocyte fueling beverages has launched a commercial campaign declaring its own personal war on obesity. Let’s get serious here, right? Well, if Coca Cola was serious about launching a war on obesity, why wouldn’t they stop selling Coca Cola, to start with? What would Baskin Robbins do if they wanted to launch a war on obesity? Okay, let’s work together to fight obesity, so stop buying our products… That’s a great marketing ploy, isn’t it? Already, the response to this campaign has met with skepticism (hivehealthmedia.com) and in some cases outrage (healthhabits.ca). What do you think? Did Coca Cola make us fat? Twitter Tools to Help You Lose Weight? How to Lose Weight with Red Peppers? 3 Weight Loss Supplements that Actually Work! How Water Consumption Helps You Lose Weight? How to Get a Slimmer Stomach? The Dukan Diet is the latest diet craze to hit North America. The creator of this diet plan, Pierre Dukan, is the most widely read nutritionist in France who’s written 19 books and has 25 years of experience. The Dukan Diet plan seems to have its roots in paleo diet principles which refers to evolutionary dieting or eating a ‘hunter gatherer’ type of diet. 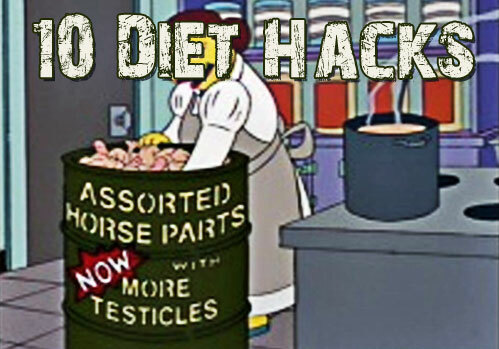 It also claims to let you lose weight while eating as much food as you like. Sound too good to be true? Though there are 4 distinct phases to the Dukan Diet, the first of which focuses on eating high protein foods. To find out if the Dukan Diet might be for you, see this review of the Dukan Diet Plan.